Mount Takao is a popular hiking spot, located within one hour from downtown Tokyo and was awarded with three star by Michelin Green Guide. 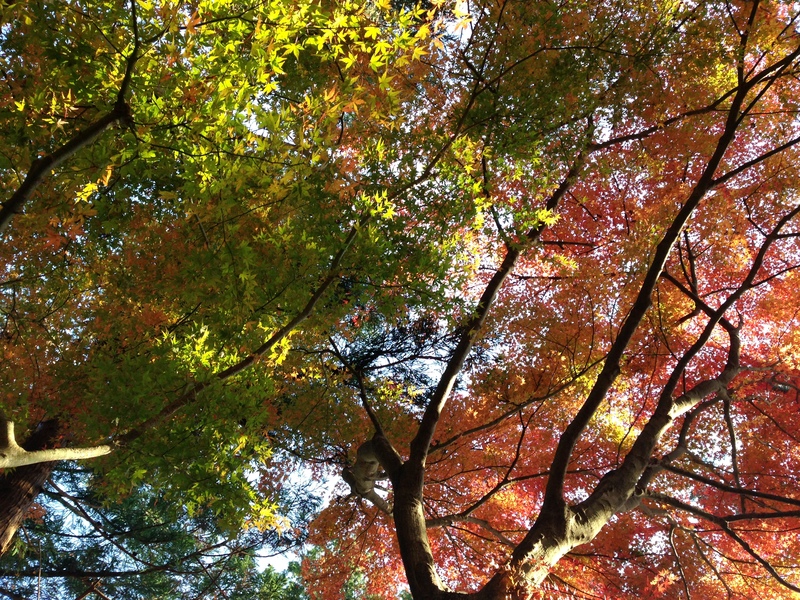 Both rope-way and railway are available and Mount Takao is an easy-access for everyone. About 2.5 million people visit Mount Takao every year. Real hikers actually climb up to the top of Mount Takao and continue to hike along the ridge of a mountain range to Mount Jimba. From Takao to Jimba, distance is about 18.5 km and estimated hiking time is about 5 hours 30 minutes (according to Mount Takao website). I have hiked from Mount Kagenobu (located in the mid of Mount Takao and Mount Jimba) to Mount Takao. This already was a full day hiking trip for me! 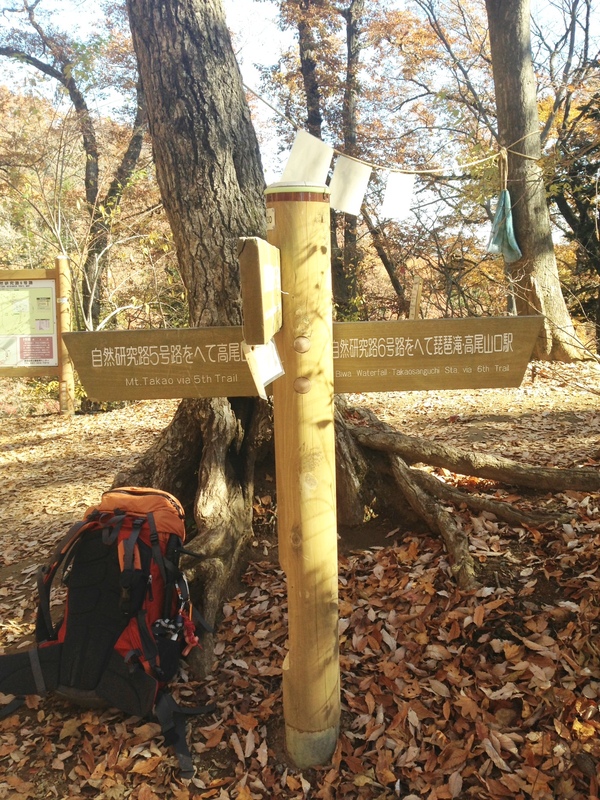 I need to train myself in order to complete Takao – Jimba trail. Mount Takao is 599 meters high. Yes it is not super high, but if you are looking to hike up Mount Takao, you need hiking equipments including hiking boots, rain-wear and something warm to wear (yes it gets cooler as you go up) and a backpack to carry food and water. 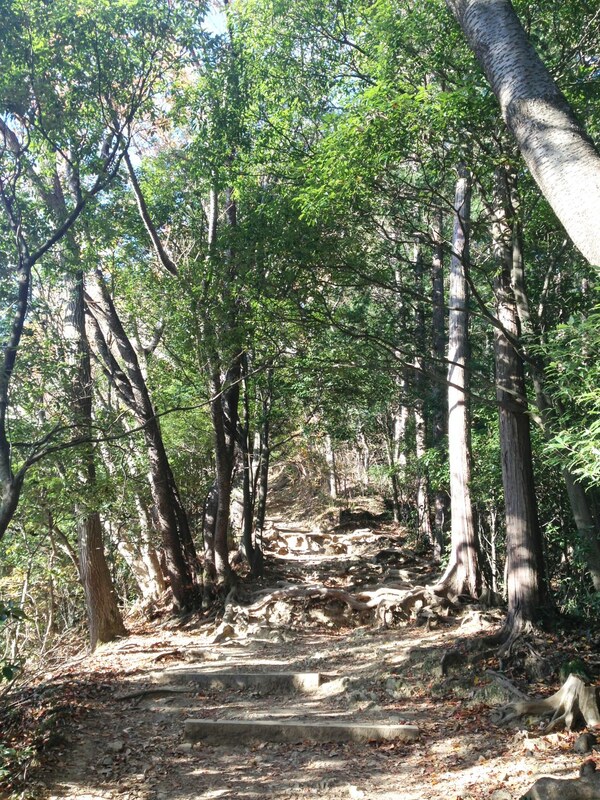 There are 8 courses in Mount Takao and I choose Inariyama Trail when I climb up Takao. Inariyama trail is the longest hiking trail and starts right next to railway station. You will see a sign like below. 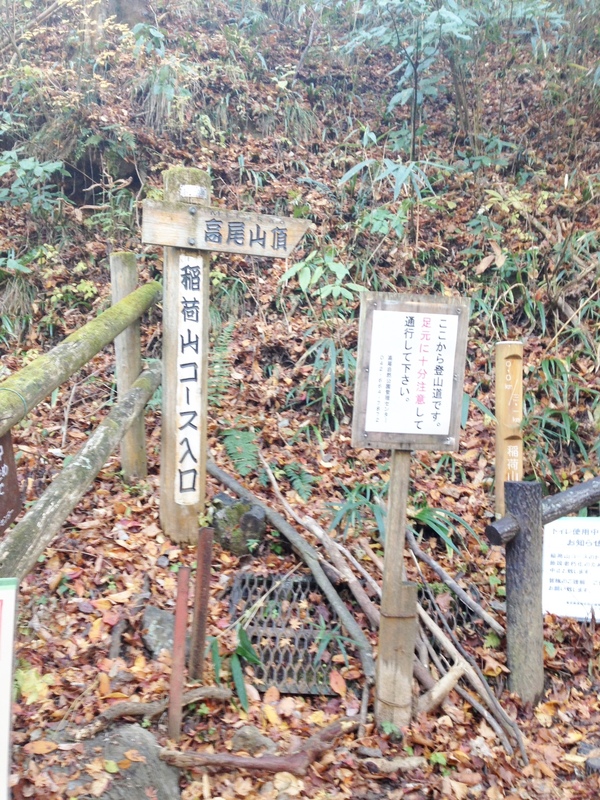 After about 10 minutes of climbing, there is Inari Shrine. This is where I do stretch. After loosing up muscles, let’s start walking again. About one hour and half, you will come cross No. 5th trail course. During weekends, the top of takao is so crowded like Shibuya center street. So I usually avoid people traffic and start climbing down just right before reaching the top. Make a right at No. 5th trail and go along the path until you will reach No. 6th trail. Start climbing down by following No. 6th trail. On No. 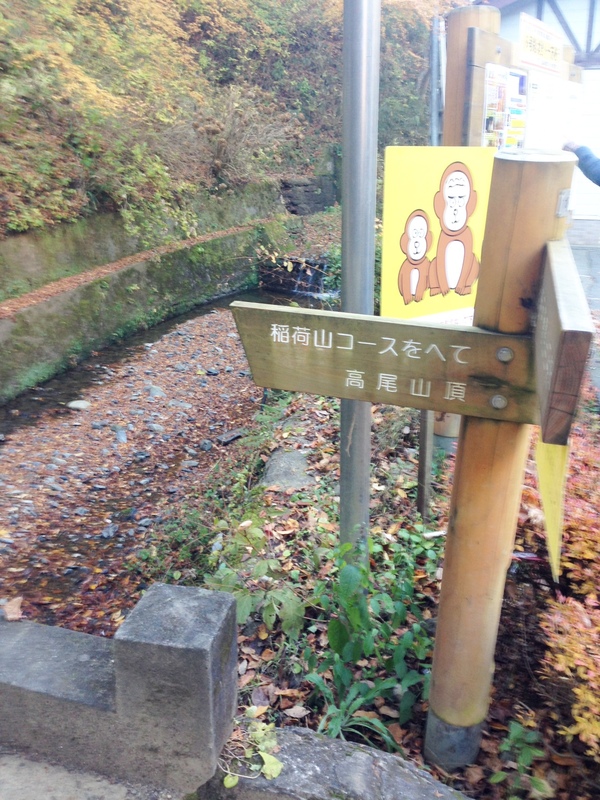 6th trail, there is a waterfall for Buddhist monks to train themselves. Civilians can also make reservation and stand under a waterfall for training (meditation) purposes. I heard that surprisingly majority of civilians who sign up for waterfall-training are Japanese ladies. Japanese ladies are tougher than ever! Mount Takao was historically and still is a sacred mountain for Buddhist monks and also for Tokyo people. 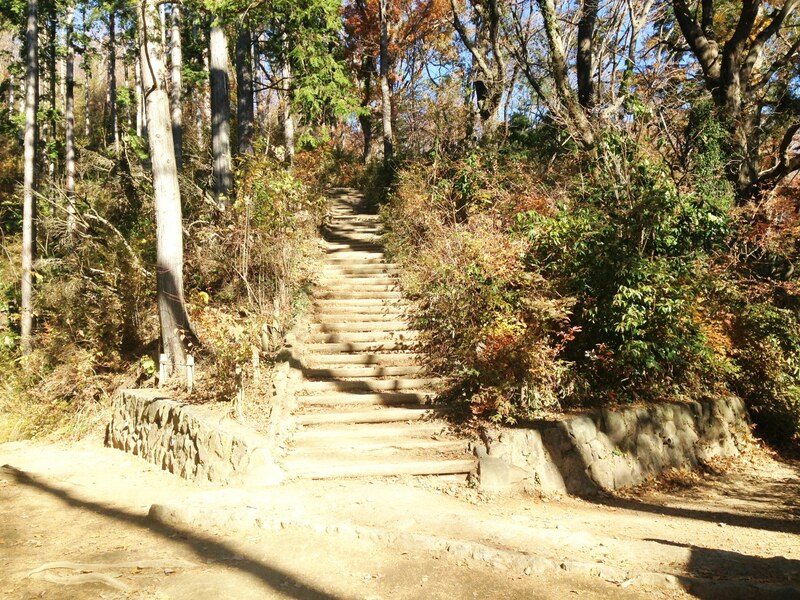 Any questions on Mount Takao, please free feel to leave a comment!